Looking for something easy and delicious to pull together for lunch or diner? 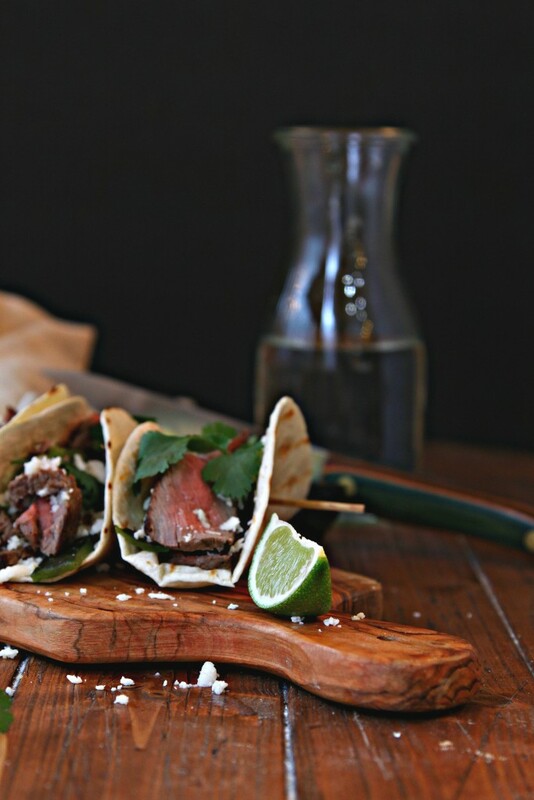 How about a little Carne Asada in your life? In the form of quesadillas. They’re super simple and you can have these on the table in no time at all. Or honestly, they might not even make it to the table because they’re that good you’ll probably be eating them straight off the cutting board because hello GOOD. Quesadillas are so much more than just shredded cheese and tortillas y’all. Visit the Caciquedilla microsite to learn about how to incorporate Cacique’s authentic cheeses, creams and chorizos to make a truly authentic quesadilla that will blow your socks off. The site is full of tips and techniques on how to make quesadillas simply or with a whole lot of flavorful flair. 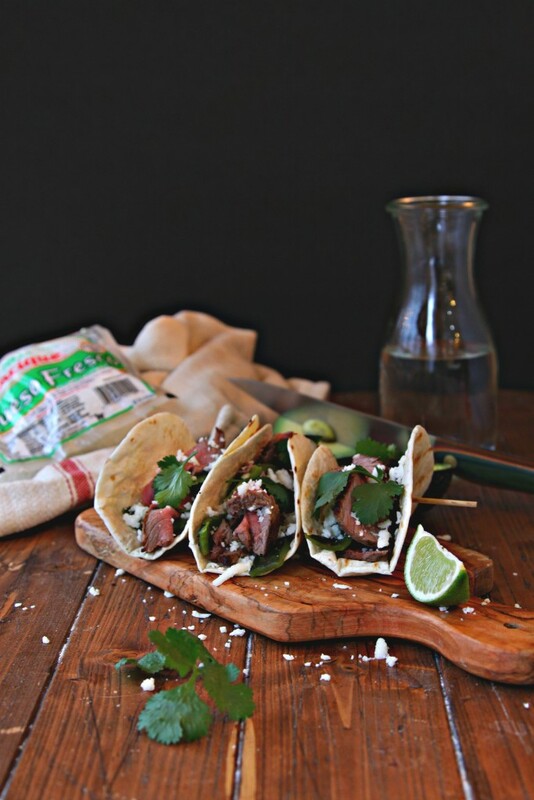 While you’re there you can also pick up some great game day recipes, join the club to receive coupons for great savings on Cacique products and enter recipe contests and more when you become a Caciquedilla Club member. You know you want to. I mean who doesn’t love quesadillas right? 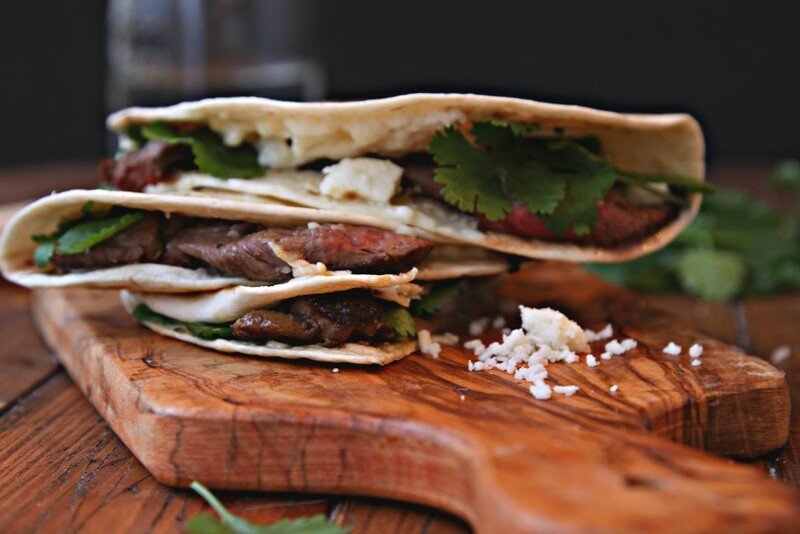 For these quesadillas, we start out by cooking a flavorful filet in a cast iron skillet. Salt, pepper and butter are all you need for an amazing steak. I like to char my peppers on the gas stove top while making the beef. If you don’t want to char your own, you can use oven roasted peppers or pick up a jar of peppers at the market. Up to you. 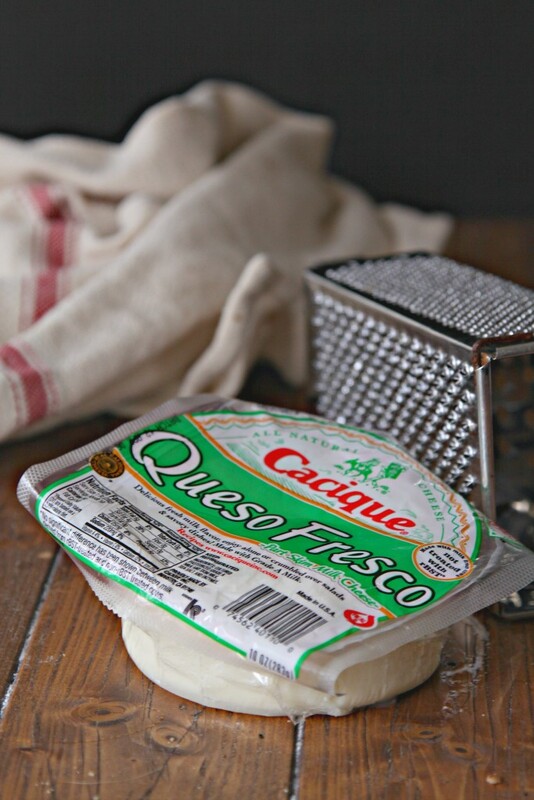 Then we grate the star of this quesadilla … our Cacique cheese before it’s time to pull it all together. It’s just a few simple ingredients but when put together there’s a whole lotta bang for your flavor buck. I like to prep mine into soft taco form before putting them on the hot pan to grill up to a melty perfection. It makes the cooking process go a little faster for me, and the faster I get to eat those the better. Disclaimer: This post is sponsored by Cacique. I was compensated for my time. Opinions are my own. Always have been. Always will be. I’ll take a few of these! They look amazing! Can we discuss my excitement right now?? I can never lay my hands on Cotija or Queso Fresco cheese. My grocers don’t have them AND my 3 day a week Farmers Market with an authentic Mexican food vendor sells all types of high-end European cheeses but no Mexican! I just used the location finder for Cacique and my local Walmart AND target both carry it…Huh! I don’t think to food shop there, but guess who’s making a trip! 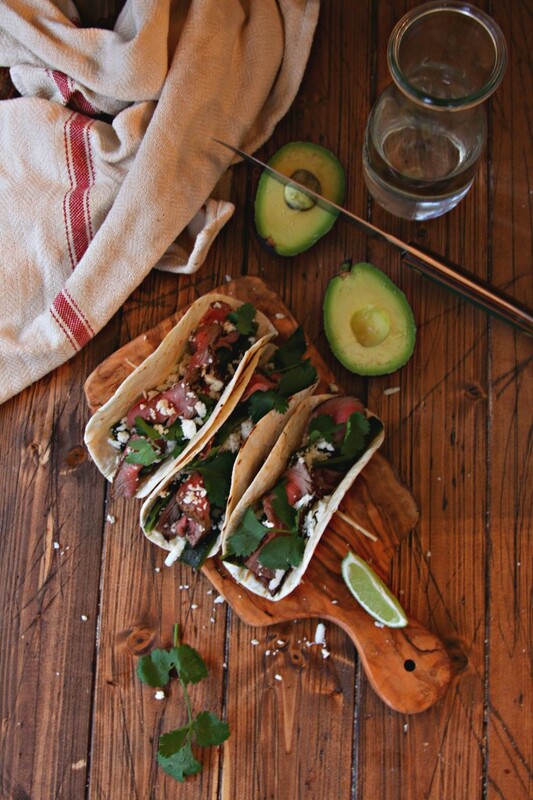 Your quesadillas looks yummalish! The meat is cooked perfectly! Yum!! These sound so good right now! I love quesadillas, they are so easy on easy weeknights! I am loving this cheese and your pictures are fabulous! I guarantee you I’d be eating straight from the board – this looks incredible. I could eat this meal daily. Ah this was so good! Added chopped white onions and garlic – absolutely divine. Thank you for sharing.